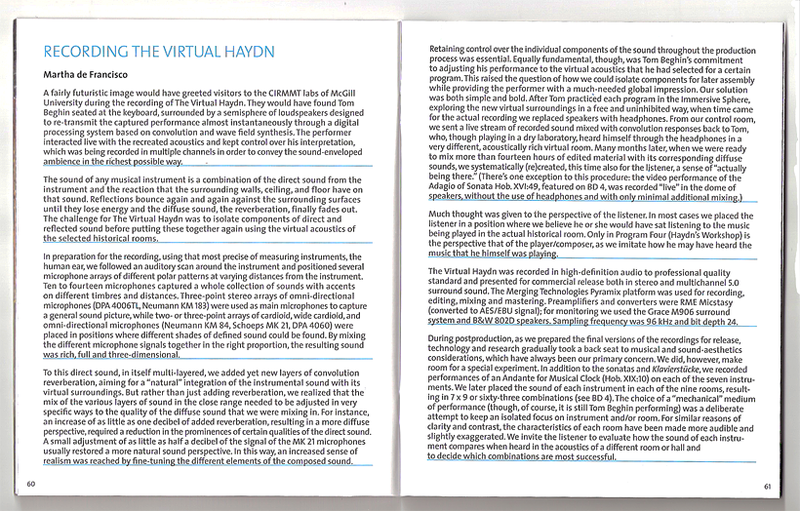 Haydn's Sonatas and Klavierstuecke were played on seven historical keyboards, specially built by four renowned master-artisans, and played in nine virtual rooms, precisely mapped and recreated from impulse response measurements of rooms, in which Haydn's music would have been played. The source for the impulse response measurements was not a popped balloon or pistol shot, but a slow frequency sweep of a cluster of loudspeakers, covering different parts of the frequency range and aiming in different directions from the instrument location. Thus the source illuminated the room more like a musical instrument, having directional characteristics. (e.g. 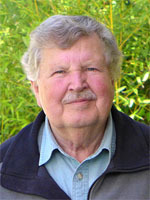 Juergen Meyer, Acoustics and the Performance of Music, Springer 2009). An array of microphones was used to record the frequency sweep in different locations of the room, leading to a large number of room impulse responses. For recording the keyboard was set up in an acoustically dead room, surrounded by a dome of 24 loudspeakers, which reproduced the acoustic response to the sound of the keyboard in any of the chosen nine rooms, thus allowing the musician to adjust his style and timing as if playing in the real room. When the recording is rendered in stereo over LX512 loudspeakers a differentiated and believable aural scene is created for the different combinations of instruments and venues. The loudspeakers and listening room disappear, leaving an enjoyable illusion of a historic keyboard in various rooms. 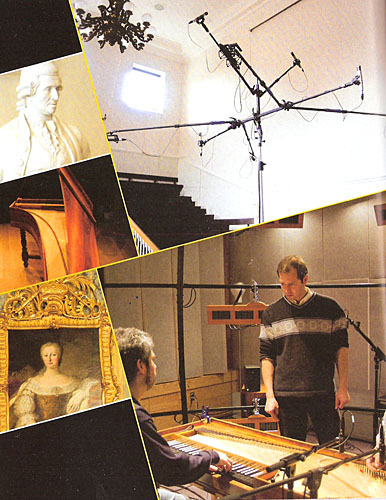 It is not possible to confirm how closely the recording in the virtual room can match the sound in the real room, because the DVD does not provide such tracks. 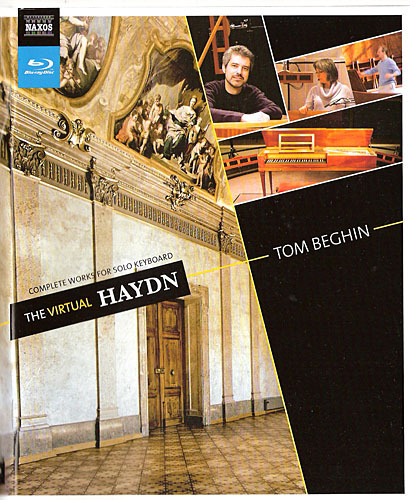 I recommend to first view and listen to all of DVD #4 for greater appreciation of this interesting recording project.